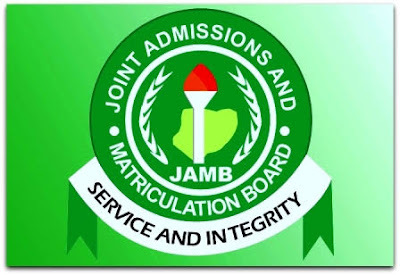 The Joint Admission and Matriculation Board (JAMB), was criticized heavily by Nigerians following their fixing minimum cut off marks for admissions into Nigerian universities at 120, polytechnics and colleges of education at 100, and that of innovative enterprising institutes at 110. However, institutions are now free to raise their cut off marks for admission above the minimum set by JAMB and the various intitutions sure did. The Senate and management of tertiary institutions in Nigeria have sent their cut-off marks for admissions to JAMB. 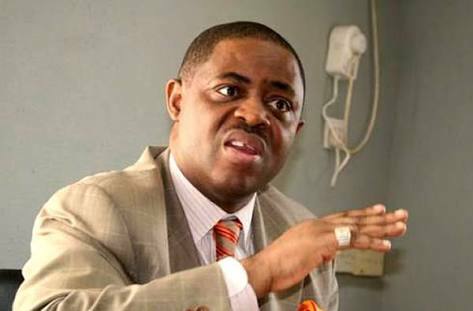 The former minister of aviation during Olusegun Obasanjo administration, Chief Femi Fani-Kayode condemns the 'unprofessionalism' displays by some kitchen cabinet members of the President Buhari's administration. He also reveals how the Muhammadu Buhari's government fights tooth and nail to making sure that some of his opinions and statements are prevented from been aired or published on Nigeria's television stations and newspapers. "Let me give you a word of the philosophy of reform. The whole history of the progress of human liberty shows that all concessions yet made to her august claims have been born of earnest struggle. The conflict has been exciting, agitating, all-absorbing, and for the time being, putting all other tumults to silence. It must do this or it does nothing. If there is no struggle there is no progress. Those who profess to favor freedom and yet deprecate agitation are men who want crops without plowing up the ground; they want rain without thunder and lightning. They want the ocean without the awful roar of its many waters. The limits of tyrants are prescribed by the endurance of those whom they oppress. In the light of these ideas, Negroes will be hunted at the North and held and flogged at the South so long as they submit to those devilish outrages and make no resistance, either moral or physical. Men may not get all they pay for in this world, but they must certainly pay for all they get. If we ever get free from the oppression and wrongs heaped upon us, we must pay for their removal. We must do this by labor, by suffering, by sacrifice, and if needs be, by our lives and the lives of others". These powerful and insightful words are as true and as relevant today as they were 150 years ago when they were first spoken. They are words that have universal application to humanity and that have been recited and repeatedly chanted like a haunting and inspiring mantra by virtually every notable prisoner of conscience, freedom fighter and agitator for equity, liberty and human rights over the last one hundred and fifty years. They are particularly relevant in the Nigeria of today where tyranny and injustice runs deep, where any form of resistance or opposition is regarded as subversion and is met with brutality and lethal force and where any telling criticism of the ruling APC party, government officials or the President is regarded as "hate speech" that must be suppressed. Permit me to give just one example of the latter in this contribution which, in my view, clearly reflects the nervous and obsessive disposition, the sheer madness and the sociopathic narcissism of the Buhari administration. A few days ago I had a revealing, probing and in-depth interview with a leading television station about President Muhammadu Buhari, his record in office over the last two years, his health and his government. 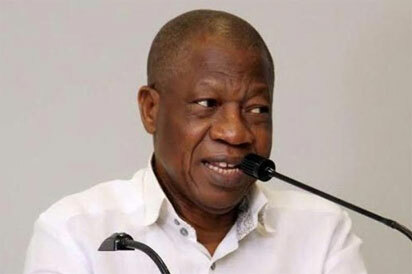 Lai Mohammed, our notoriously excitable and mendatious Minister of Information, was so upset and disturbed by the contents of that discussion that he personally called the television station that recorded it and told them that the government would close them down if they dared to air it. 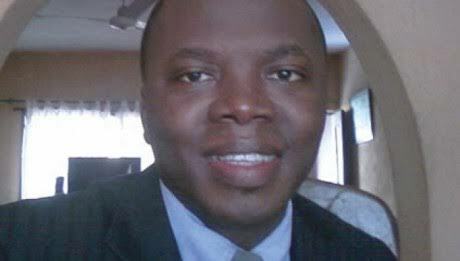 His call was followed by an equally threatening one from the chief executive of the Nigerian Broadcasting Corporation who issued the same threat. Yet it did not stop there. Femi Adesina, the President's spokesman, almost defecated in his pants when he got a whisper of some of the things that I had revealed and he wondered out loud how I managed to get all the facts and information that I shared during the interview. He begged the station not to air it as well and also threatened them with dire consequences if they did so. Sadly the station in question got cold feet, succumbed to the threats and fell for the blackmail. I am not surprised by this and neither do I blame them for doing so. I say this because they, more than any other, have been subjected to all manner of harassment over the years yet despite that they remain one of the most balanced, professional, forthright and courageous media outfits in the country till today. They are indeed the first among equals but they also know the monsters that they are dealing with when it comes to the Buhari administration and they appreciate the fact that they have to be extremely careful even when it comes to reporting what are essentially notorious facts. They have to be even more careful when it comes to allowing strong opposition figures like yours truly and other non-conformists and perceived enemies of the government to use their powerful platform to air their personal opinions and strong dissenting views. The truth is that this government is vicious and dangerous and, in my view, they are only one step away from "disappearing" (Argentinian style) media practitioners, publishers, essayists, columnists and writers that are not prepared to bow down to their unholy will and lick their filthy, unclean and unwashed posterior. Simply put they are a chicken-hearted government that are terrified of their own shadow. They are a government of uncircumcised Philistines who were put in power by heathens and unbelievers and who attract and enjoy the support of every low-life and apostate from the south side of hell. Nothing terrifies them more than public scrutiny and the glorious light of accountability and truth. From the top to the bottom they are all the same: gangsterish and paranoid charlatans who flourish in darkness and who thrive in division, conflict, lies, deceit, suppression, threats, murder, violence and intimidation. Femi Adesina's cowardice and perfidy particularly is nothing new. This is the same man that threatened the publisher of two leading national newspapers to close my weekly column and that has been begging and offering inducements to virtually every online magazine that I write for to stop publishing my essays. That is how fearful, feeble, powerless, shameless, cowardly and paranoid the Buhari government has become. That is the level of their depravity and that is the level that they have degenerated to. They cannot take criticism and they cannot bear any form of factual and in-depth analysis of their abysmal and woeful performance. They do not have the stomach or intellectual stamina for a strong and lively challenge, for what I would describe as "hardtalk" or indeed for any form of virile debate and contentious public discourse. Simply put they behave like a congress of baboons and a colony of monkeys. They always run away from a real fight and a real debate and they are terrified of those that are ready to take them on. Instead of attempting to defend themselves in the court of public opinion they seek to silence the opposition by the power of their might and they seek to suppress dissent, muscle the media and bury the truth. Despite their sheer desperation to hold on to power at any cost and to cower the people and in spite of their despicable, tyrannical and inglorious mindset I have the following to say to them: like Satan, your time is short. You oppress the people and whip them into line, not by good works or inspiring leadership, but through the usage of nothing but intimidation, lies, threats, blackmail, disinformation, witchunts, fear, hate, division and terror. Your tactics are as despicable as they are deplorable. Yet despite your subjugation and tyranny it will soon be over for you. The earth and the heavens have rejected you, the elemental forces oppose you and the Nigerian people secretly despise you. This is the doing of the Lord and it is marvelous in our sight. You cannot wash away the blood that you have shed. You cannot erase the memory of your failures and your atrocities and those that you have humiliated, destroyed, insulted, tortured, incarcerated and subjected to persecution and the most vicious and callous media trials. You cannot silence the voice of the voiceless, you cannot intimidate the servant of truth and you cannot suppress the champion of the oppressed. The finger of the Lord has marked you down for shame, torment and destruction and the sword of the Lord has wounded you beyond redemption. The rats were just the beginning. More miracles and wonders will soon come. The truth is that no matter how hard you try to put out the raging fire and the crisis of confidence that has afflicted you it will not stop. Your days are numbered and your end is nigh. The Ancient of Days has spoken and He shall perfect it. You may also want to read this Femi Fani-Kayode article! An expert, Segun Adeleye has giving insight on probable ways with which the economy of Nigeria could be diversified. According to the Guardian reports, Segun Adeyele, the president of Worldstage Group while speaking at the 2017 WordStage Economic Forum in Lagos said however that diversification into non-oil sectors may be necessary but that it is not enough to sustain the Nigerian economy. He however said that new initiatives must as a matter of urgency be adapted to ensure the growth of Nigeria's economy. Segun said, while Nigeria seems to have lost the opportunity to develop its oil wealth in the past, the future is still bright with many yet to be harnessed resources available. In his word; "While we are still lamenting the lost opportunity to have developed with our oil wealth in the past, we can see the future unfolding before us, just as how the internal combustion engine is projected to die and the oil business, is to become obsolete in the very near future." “With the calls for Nigeria to diversify its economy from oil after several missed opportunities in six decades, the new question begging for answer is, how fast and far can diversification solve economic problems in the short, medium and long terms?” Adeyele asked. Speaking also is an Entrepreneurship and Business Innovation Economist, Ayodele Shittu who noted that consistency, and sincerity of purpose from businesses owners and political leaders is necessary to transform Nigeria’s business environment. He said that Nigerian businesses are yet to fulfill their potentials. 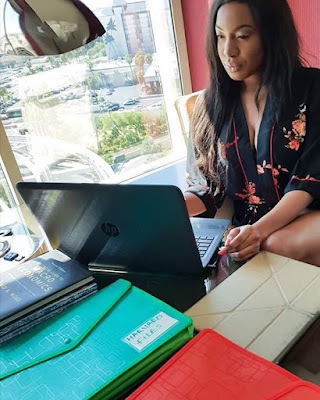 Shittu as well noted that there is an urgent need to prioritize the education sector in order to support the growing human capital in Nigeria. According to him; “The available evidence, in this regard shows that the score of the skills of the future workforce sub-pillar is lower than the score of the current workforce by 10 per cent or more," Shittu said. “Since the first quarter of the 2016 through the second quarter of the 2017, Nigeria has witnessed negative perceptions of business activities in the country. While the level of pessimism is declining, common constraining factors cited among the firms surveyed include financial barriers, unfavourable political climate, competition, and insufficient local demand". He said. Recall, there had been earlier report that the vice president Yemi Osinbajo said the solution to Nigeria's problems is diversification of economy. Yemi Osinbajo also said restructuring alone will not put an end to the problems being faced by the nation at present. He also said that the federal government is focused on development of science and technology to improve on the economy sector. 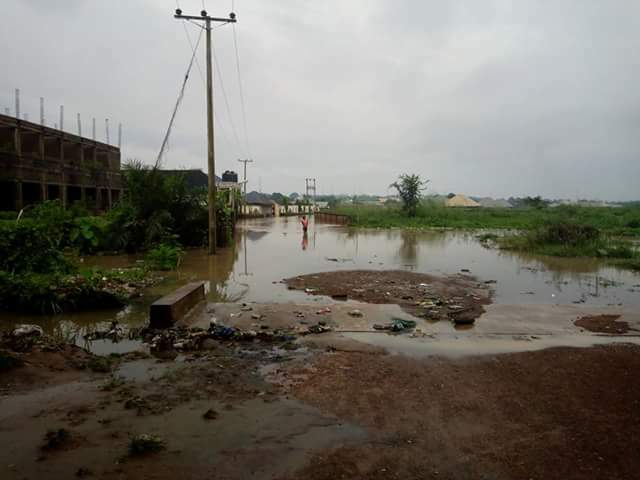 Report has it that over 15,000 persons have been displaced from their residents owing to the heavy downpour on Saturday night, which resulted to flooding submerging more than 2,000 houses in Makurdi, the Benue State capital, and its environs. 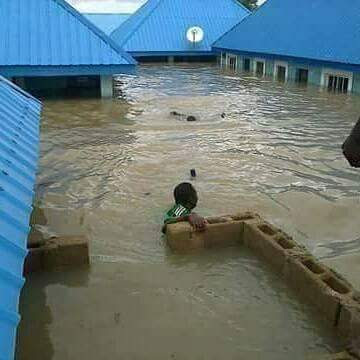 The hardest hit areas are Achuasa Media Village, Wadata Rice Mill, Behind Police Zone Four, Larozone Nyiman Quarters, Judges Quarters, Gboko Road, Logo, New Bank Road, Abu, Shuluwa Road and the neighbourhood of Radio Benue, where all the houses in the community, including the transmitter of the state-owned radio station, were submerged. 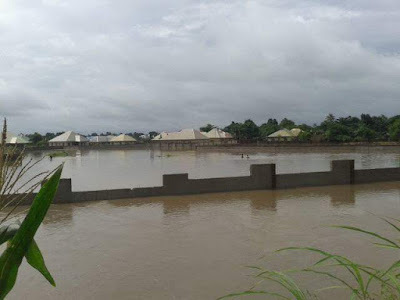 However, the state governor, Samuel Ortom, has appealed to the Federal Government to come to their aid to avoid a repeat of the 2012 when River Benue broke its banks, also swept away hundreds of millions of Naira worth of property and valuables in a downpour that lasted over four hours. Governor Samuel Ortom made the appeal on his inspection of the flooded areas in Maiduguri yesterday, and described the problem as overwhelming. The governor has however, called on those living in flood-prone areas across the state to relocate, just as he directed the State Emergency Management Agency (SEMA), to liaise with the National Emergency Management Agency (NEMA) to seek means of assisting those who have been displaced. He also said that structures constructed on drainage channels and flood plains would be demolished. 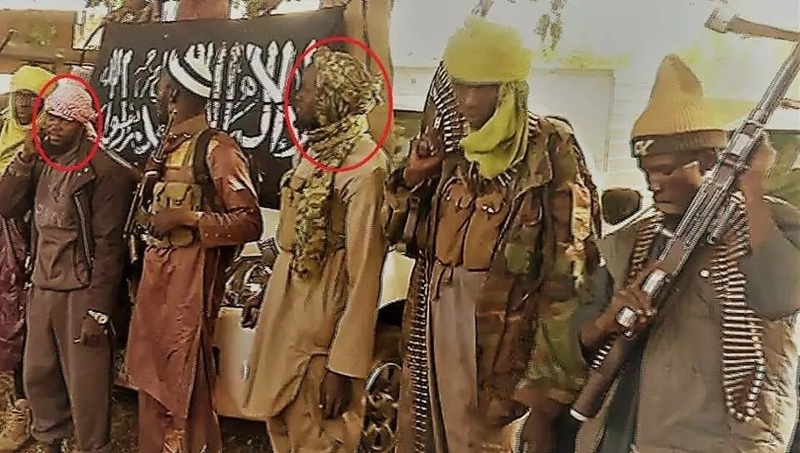 The Nigerian army in its latest operation against Boko Haram insurgent attacked some of its top commanders which has given rise to the death of five of them. According to a statement released by Sani Usman, the spokesperson of the Nigerian Army, he confirmed that the army and the Nigerian Airforce carried out a bombardment operation that killed a large number of the terrorists. He however, identified top five commanders of the terrorist group who were killed in the attack in the operation. The Nigerian Army artillery using Multi-Barrel Rocket Launchers has lobbed many rockets over the suspected location the terrorists’ leaders are hiding. Video clips obtained on battle damage assessment shows clear success of the exercise. More details of successes achieved will be made available as the operation continues. 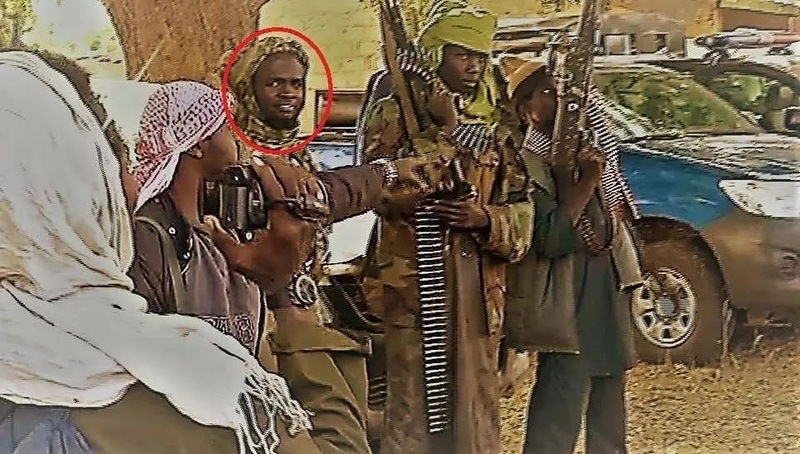 The key Boko Haram terrorists Ameers neutralized within the week during the joint Artillery and Nigerian Air Force air bombardments include; Abu Dujana, Man Tahiru (Deputy to Boko Haram terrorists group Hisba leader), Man Chari, Malam Abdullahi Abu Sa'ad and Goni Bamanga. The Nigerian military would continue with the concerted onslaught on the reported Boko Haram terrorists’ location till they have been eliminated. 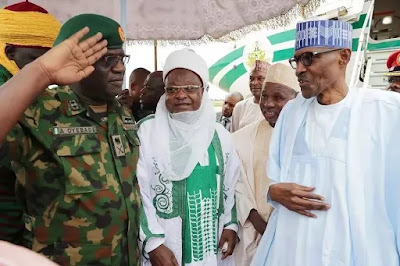 The President received resounding reception when he arrived Daura in Katsina state in readiness for the Eid Il Kabir celebration coming up on Friday, September 1. President Muhammadu Buhari left Abuja after presiding over the federal executive council meeting on Wednesday, August 30 for his hometown. According to NAN reports, right inside the town itself, President Buhari’s arrival excited many people, who broke out in prayers for his good health. Malam Aminu Shehu, a trader who could not control his emotion, described the arrival of the president as a relief to Nigerians, especially his kinsmen who spent a year without seeing him. He praised God that the president was looking happy and not fatigued. “We will continue to pray for the well-being of the president’’. Hajiya Nana Mohammed, a politician from Maiadua Local Government Area, said the president was back for the better, describing his arrival as an unprecedented home coming and “we wish him well’’. Alhaji Abdurrahaman Danmalan, a politician and the Danmadamin Daura, described the numerous reforms introduced by the present administration as a welcome development. He said the president was pursuing the reforms on agriculture, education, security and infrastructure with vigour. He said his members would book for an appointment to see the president to formally greet and interact with him. 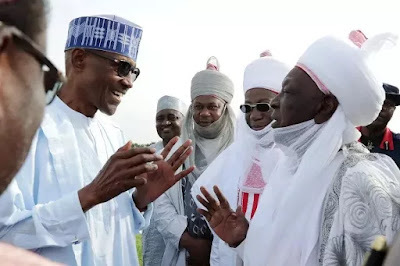 Alhaji Ali Rabe, the Chairman of the Daura Emirate Amalgamation of Political Associations, also told NAN that arrangement for a thanksgiving service had been concluded. 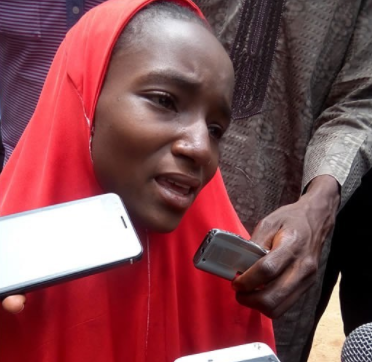 The Bauchi state police command today paraded 17-year-old housewife, Hindatu Abdullahi pictured above, who poisoned her two weeks old stepson because of the deep hatred she had for her husband, Abdullahi Ori, and the boy's mother who is her husband's first wife. 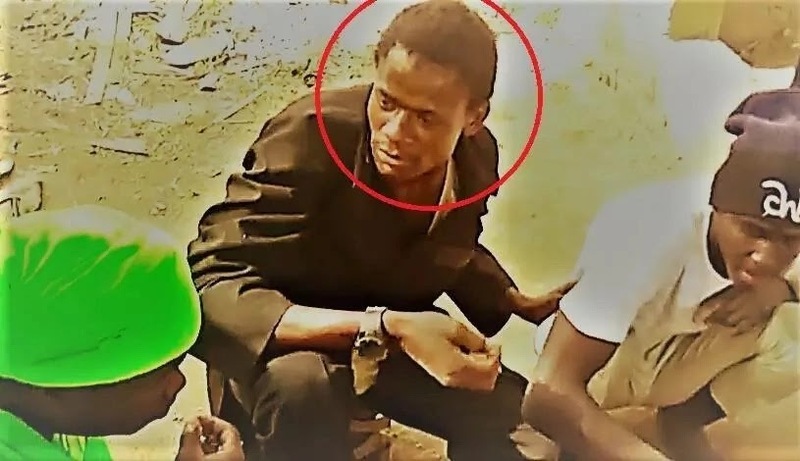 The suspect who hails from Wuro Bogga village in Duguri District of Alkaleri Local Government Area of the state, said she was forced into marrying her husband two years ago. “My husband and I have been married for two years now and we have a child. He married me as his second wife. He used to love me dearly, but he suddenly started maltreating me. He would beat me, insult me and abuse me at the slightest provocation. I reported his maltreatment to my parents all the time, but they have never believed what I told them, since it was their idea for me to marry him. "My father forced me to marry him, against my wish. I have been staying in my husband’s house just because of my parents. I have not been in good terms with my husband and my rival. We are always fighting. I don’t know why I did what I did, but I regret it. Whatever punishment that will be given to me should be done, but every time I remember my action, I keep regretting doing what I did"
The suspect said she sneaked into the room of her co-wife when she stepped out and tried administering a poisonous substance on the child but the baby refused to take the substance. The substance however poured on the child. “My siblings took me to my co-wife and I apologized to her and she said she has forgiven me; but she left everything to God to judge. They called my husband on phone and told him and he vowed to divorce me when he returns from his pilgrimage,” she added. She claimed that she was given 80 strokes of the cane after her husband’s brother insisted that she must be punished for committing such a wicked act. “He took me to a vigilance office in our area and they gave me 80 strokes of the cane besides the tax they placed on my father, which he paid. My husband’s brother said he wasn’t satisfied with the punishment I was given, so he took me to the Police Station at Maina Maji, where I spent two nights before they brought me here” she said. The Bauchi state command says the suspect would soon be arraigned in court. When you wake up in the morning, what is the first thing you put into your system? Some people prefer to kick-start their day with a cup of tea or coffee or a glass of orange juice. But how many start their day with water? Remember, seventy per cent of the human body content is water, and so water plays an important role in the proper functioning of your body. * Drinking plenty water can help to relieve headaches as some of the most common headaches are due to dehydration. * Proper hydration will help your joints and muscles lubricated, do you're less likely to experience cramps and sprains. * Drinking water helps to improve the vitality of your skin; you will look younger if your skin is healthier. * Drinking water regulates your body temperature and helps to fuel your muscles. * It also helps to flush out toxins and waste products from your body. * Drinking water will help to relieve fatigue. If your body lacks water, your heart will have to work harder to pump out oxygenated blood to all cells, and so will the rest of your vital organs making you tired. It is commonly known that water has many benefits to the human body. But did you know that drinking water in the morning, immediately upon waking up, can have amazing therapeutic effects for a multititude of health conditions, ranging from pain to asthma or cancer? You may shun the idea but yes, it is true that water on an empty stomach in the morning can be immediately beneficial to the body, and adopting this habit can result in a positive change to your general health and vitality. Drink 75cl of water immediately after waking up. Avoid drinking or eating anything else for an hour before and after drinking the water. Everything at the beginning seems difficult. At first, you may have a hard time drinking 75cl of water, at a go. It, however, becomes easier, as your body gradually becomes accustomed to the routine. As you nourish your body, daily, three times, with food and water, nourish your soul with God's word. * Helps You Lose Weight: When you continue about 16 ounces of water, you will boost your body's metabolism by about 24 per cent, thus helping you lose those extra pounds. * Balances the Lymph System: When you drink water, first thing in the morning on a daily basis, you help balance your body's lymph system. Lymph glands found in your lymph system fight infections, helping you to perform your daily activities. They also balance the fluids in your body. * Renews Cells: Drinking water, first thing in the morning, increases the rate at which new muscles and blood cells are produced. * Makes Your Skin Glow: Water is known to purge toxins from your blood, and as a result, you end up with a glowing skin. * Purifies the Colon: When you drink water after you have woken up, before eating anything, you are purifying your clone, thereby making nutrients absorption easy. The Ekiti state governor, Ayodele Fayose has lashed out at President Buhari saying his more than three month stay in London for medical treatment may have made him lose touch with the country’s economic realities. 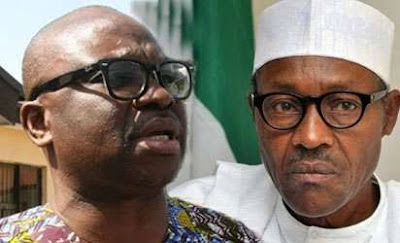 According to a statement issued on Wednesday, August 30 by his special assistant on public communications and new media, Lere Olayinka, Ayo Fayose said it seemed like the President Buhari was happy the citizens are suffering. He said Buhari’s statement that he was pleased with the country’s economy situation was pitiful. In his word: “It is like the President endorsing the sufferings of Nigerians and this is painful. “That President Buhari, who met exchange rate at N197 to $1 said that he is pleased with the economy when exchange rate is now N370 to $1 is a clear indication that the government is being run on his behalf. “The National Bureau of Statistics, in its unemployment report for the fourth quarter (Q4) 2016 said 3.67 million Nigerians became jobless in one year and that the number of unemployed Nigerians rose from 7.51 million at the beginning of October 2015 to 11.19 million at the end of September 2016. “The same NBS, said in its June 2015 to May 2016 National Corruption Report, that over N400bn was paid as bribes to public officials in Nigeria in one year (June 2015 – May 2016). Yet, they will tell Nigerians that they are fighting corruption when indeed, corruption is thriving under the All Progressives Congress government of President Buhari. Fayose insisted that every Nigerian was aware of the economic situation of the country and said the president was not telling Nigerians the truth. He said: “Nigerians are hungry, they are suffering and telling them that all is well is like adding salt to their injury". He said. 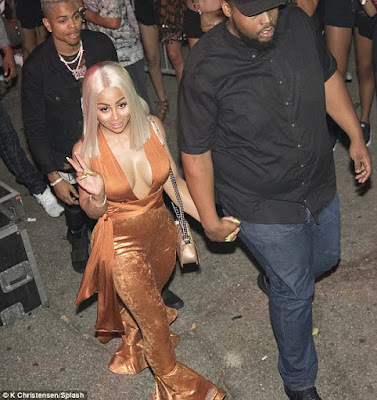 Blac Chyna and her boyfriend, Mechie reportedly parted ways last week after she caught him becoming overly friendly with women online. But it appears they are back together again. 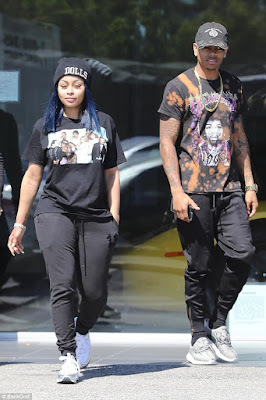 Blac Chyna and Mechie were spotted at a car dealership where they spent some time looking at cars on Monday. There are rumors that Chyna is trying to get a car for Mechie. The car dealership they stopped by is the Calabasas Luxury Motorcar dealership where Scott Disick gets his luxury cars from. Before they were spotted at the car dealership, Chyna and Mechie were photgraphed on Saturday chatting at the San Bernardino, California, music festival and they seemed to still be very much together. The Federal Government has commenced the process of restructuring in the way it understands, the Minister of Information, Culture, and Tourism, Alhaji Lai Mohammed, said yesterday. His assertion was immediately rebuffed by chieftains of the Yoruba and Igbo socio-cultural groups. Elder statesman, Tanko Yakasai and Second Republic lawmaker, Dr. Junaid Mohammed also faulted the claim, accusing the government of projecting lies. 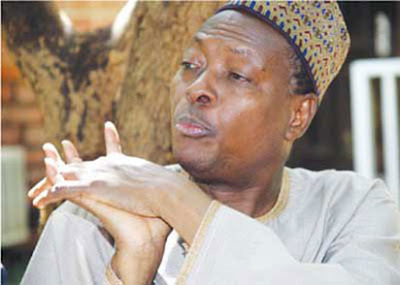 The minister, who spoke on a Channels Television live interview, also disclosed that President Muhammadu Buhari had intervened in the reported face-off between the Attorney General of the Federation, Alhaji Abubakar Malami, and Acting Chairman of the Economic and Financial Crimes Commission, EFCC. Mohammed was pushed to his wits’ end in playing down the reported face-off which he said the press was determined to blow-up. He, however, assured that the President’s response to the crisis would conclude the matter. Mohammed, during the interview anchored by Maupe Ogun, also disclosed that the Federal Government had drawn a red line on hate speech, saying any breaches would be met with requisite sanctions. He said: “For the Federal Government, restructuring means devolution of power. Restructuring means for the Federal Government, a system whereby government’s policies and programmes can reach everybody at the grassroots. “For us, restructuring means ability that will allow you to deliver and in our own way, we have started. “The Acting President (then) issued an order to the Police that they should start implementing community policing; that is one aspect of restructuring that we believe will deliver better criminal justice. “As a government, we look at our constitution as it is today and we follow strictly what the constitution says, and in applying the constitution, we look at practical ways of reaching out to people. “The constitution is the grundnorm today; that is the basis of our being together and you cannot today as a government do anything that is contrary to that Constitution because that is the supreme law of the country. The minister also rebuffed insinuations of a ‘civil war’ within the administration as reflected in the crisis between the AGF, Malami, and the acting chairman of the EFCC, Mr. Magu. He said: “People may have different ideas, but this is not unusual, and I can assure you that the matter will soon be brought under control. Reacting to Mohammed’s position on restructuring, the pan-Yoruba socio-political organisation, Afenifere, described his statement as unfortunate and an attempt to confuse Nigerians. Afenifere’s National Publicity Secretary, Mr. Yinka Odumakin, said: “Where and how have they started? It is pathetic and unfortunate that a person like Alhaji Lai Mohammed can say such on a fundamental issue. So, when they put fiscal federalism in their party’s constitution, all they meant was community policing? “So, where is the community policing? On his part, Second Republic lawmaker, Dr. Junaid Mohammed, said: ‘’First, I am not one of those agitating for restructuring because I don’t believe in it. I believe that those doing so, do not have the interest of the country at heart. “From both sides of the argument for restructuring, we have seen that there is shortage of details. None of the sides understands what restructuring means to them. “We have an Executive that is at war with the National Assembly, and that has not made them work together since the President was elected. It is this kind of situation that makes people like my friend, Lai Mohammed, to be telling us lies. Lai Mohammed who is a lawyer is being economical with the truth. ‘’The system of government we practice is such that you can’t do things by fiat, they have to pass through the constitutional processes. With the situation on the ground, let us please, pipe low on agitations so that people like Lai will not be feeding us with lies. 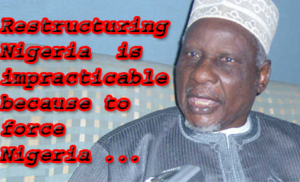 Elder statesman, Tanko Yakassai, called on proponents of restructuring to come up with a clear definition and blueprint in order to earn the support of Nigerians. Yakassai told Vanguard that Lai Mohammed spoke tongue-in-cheek against the position of the likes of Chief Emeka Anyaoku and Chief Ayo Adebanjo. 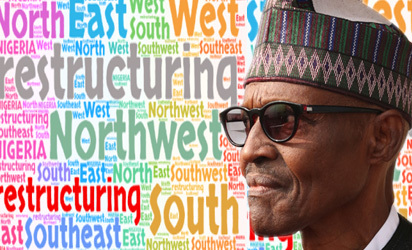 He said that “the North is ready to queue behind the proponents if they can avail us with a clear definition of what they referred to as restructuring. The Eastern Consultative Assembly, ECA, on its part described the assertion by Lai Mohammed as irritating. ECA Secretary, Evangelist Elliot Ugochukwu-Uko, said the Federal Government was in a cul-de-sac over what to do to save the country from imminent collapse. “All the minorities in Sokoto, Borno, Adamawa, Kaduna, Kogi are in support of restructuring. The Igbo, Yoruba, Urhobo, Isoko, Igala, among others, are in support of restructuring. The only thing that will save Nigeria from collapse is restructuring; not cosmetic restructuring but restructuring into six regions to allow for economic prosperity. “The oppressors must know that the days of reckoning are here and that they must account for over 400 years of misdeeds. We are not talking about palliatives; we are talking about the real solution, which is restructuring to calm frayed nerves. “Our youths are angry, and the only way we can even beg and appease them is to ensure that the country is restructured,” he said. ASUU Strike: FG, ASUU meet today!